WHAT TYPES OF PARKS QUALIFY FOR THE VK5 PARKS AWARD? Only South Australian National Parks & South Australian Conservation Parks qualify for the Award. 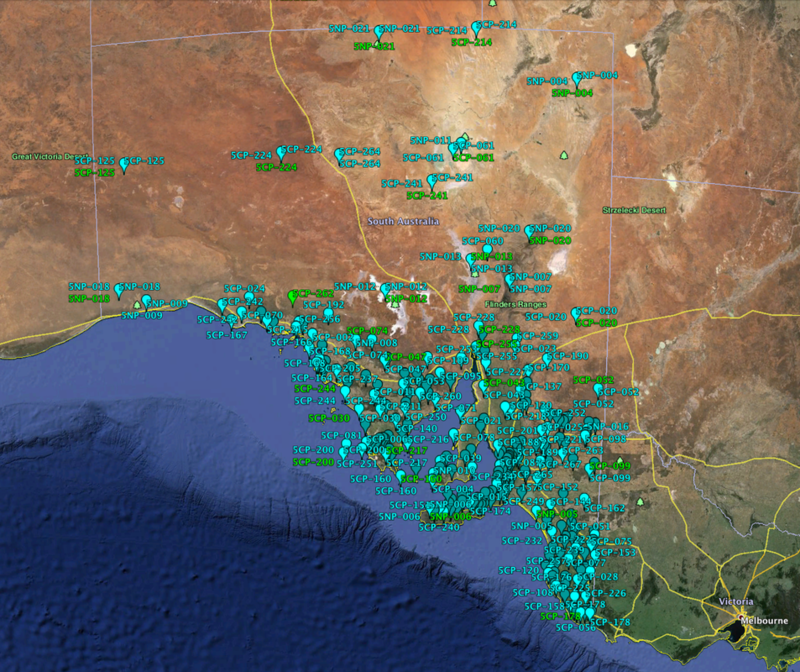 There are a total off 22 National Parks and 277 Conservation Parks in South Australia. These parks are under the control of the Department of Environment, Water and Natural Resources (DEWNR). A NATIONAL Park is 'land that is of national significance by reason of its wildlife or natural features'. A CONSERVATION Park is 'land that is protected or preserved for conserving wildlife or natural or historic features'. WHAT TYPES OF PARKS DO NOT QUALIFY ? The following types of South Australian Parks do NOT qualify for the Award. WHERE ARE THE PARKS LOCATED? The 22 National Parks and 276 Conservation Parks are spread across South Australia. They are under the control of the Department of Environment, Water and Natural Resources (DEWNR). DEWNR has 8 Regions. Each of these Regions are then subdivided into Districts. This region covers 6,581 sq km of land, 4,627 sq km of sea, and has 364 km of coastline. It supports 1.2 million people which equates to 80 % of South Australia’s population. The northern boundary of this Region incorporates the whole of the Light Regional Council, the District of Mallala and the Barossa Council. The region stretches south to Cape Jervis on the southern tip of the Fleurieu Peninusla, from the ridge of the Mount Lofty Ranges to 35 km into Gulf St Vincent. 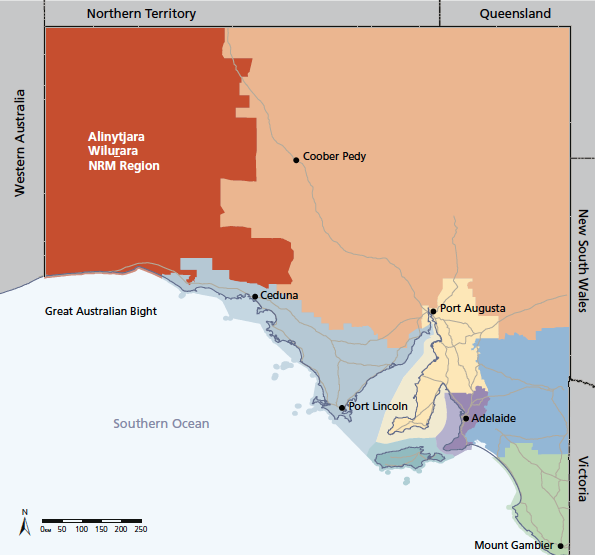 The coastline of this region encompasses the District Council of Mallala in the north to Middleton Beach in the south in the Distrct Council of Alexandrina. There are a total of 46 parks in this region, comprising of 2 National Parks and 44 Conservation Parks. This region (meaning north west in Pitjantjatjara) covers the north west third of South Australia and is more than 250,000 square km in size. There are a total of 6 parks in this region, comprising of 2 National Parks, and 4 Conservation Parks in this region. 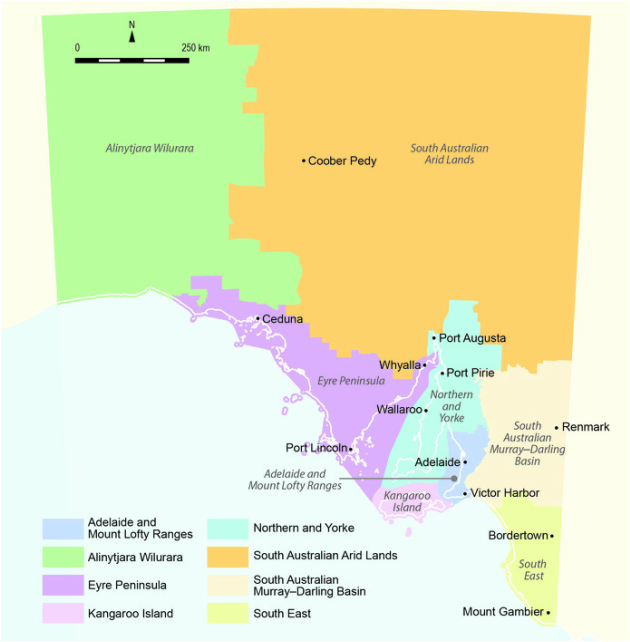 The Eyre Peninsula region covers an area of 80,000 square km or 8 million hectares. It includes parts of the upper Spencer Gulf, the City of Whyalla, and stretches across the southern boundaries of the Gawler Ranges, beyond Ceduna to the edge of the famous Nullabor plain, and south to Port Lincoln at the southern tip of the Eyre Peninsula. Eyre Peninsula still has 43% of natural vegetation cover intact, making it one of the highest levels of surviving native vegetation for agricultural regions in South Australia. About 40 species of native plants are endemic to the area, with 26 plant and animal species of national conservation significance listed. The Eyre Peninsula region includes over 1,800 km of coastline. This represents about 33% of the entire coastline of South Australia. 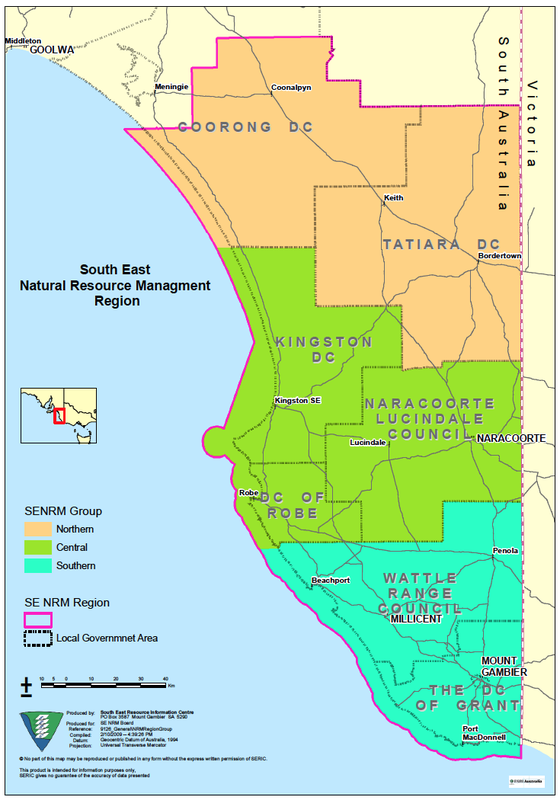 The Eyre Peninsula NRM region contains over 100 different parks and reserves. There are a total of 74 parks in this region, comprising of 3 National Parks, and 71 Conservation Parks. The Kangaroo Island region encompasses Kangaroo Island which is about 15 km off the coastline of the southern Fleruieu Peninsula. The island covers an area of 4,370 square km. Off all the South Australian agricultural regions, Kangaroo Island contains the highest proportion of remnant vegetation. In fact, about 40% of the island is taken up by native vegetation. The Kangaroo Island Region only contains one district. And that is Kangaroo Island. There are a total of 22 parks in this region, comprising 1 National Park, and 21 Conservation Parks. 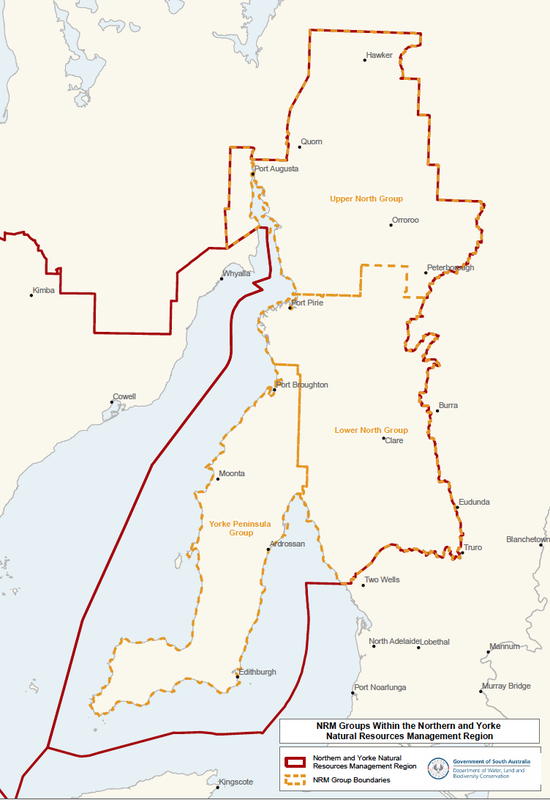 The Northern and Yorke region totals 34,500 square km or more than 3 million hectares. 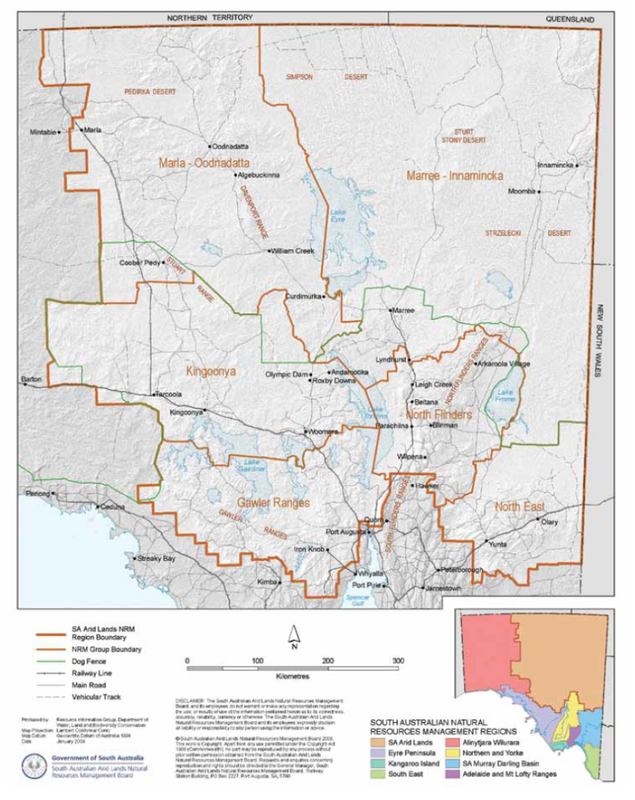 It encompasses the Yorke Peninsula, the northern Mount Lofty Ranges, the southern Flinders Ranges, and significant areas of Spencer Gulf and Gulf St Vincent. There are a total of 24 parks in this region, comprising of 2 National Parks, and 22 Conservation Parks. This is the largest region is the SA Arid Lands region which covers over half of South Australia and encompasses the state’s north-east corner to its borders with NSW, Queensland, and the Northern Territory. It is more than 400,000 square km in size. The SA Murray-Darlling Basin region extends from where the mighty Murray River crosses the South Australian/Victorian border, down to where the Murray meets the sea at the Coorong. The region covers 70,000 square km. There are a total of 47 parks in this region, comprising 1 National Parks, and 46 Conservation Parks. 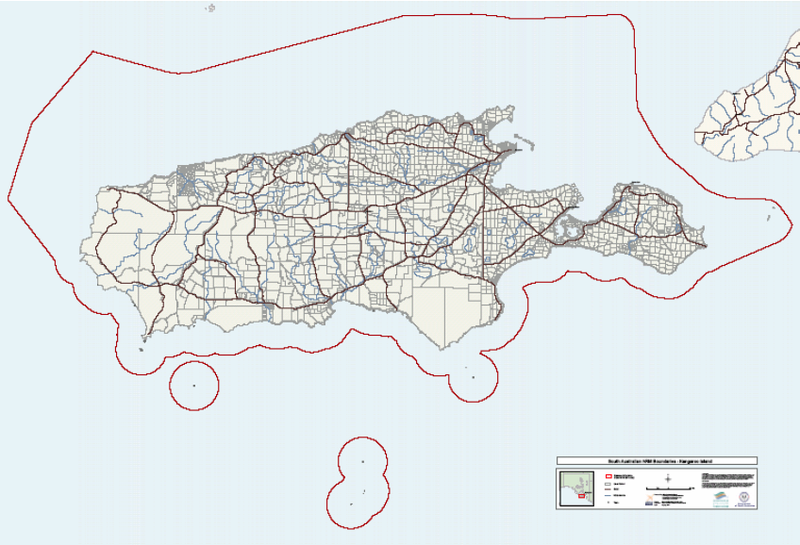 The South East region covers an area of about 28,000 square km. It is bounded by the Victorian border to the east, the Southern Ocean to the south, and the Coorong to the west. There are a total of 59 parks in the South East region, comprising 3 National Parks, and 56 Conservation Parks. Here is a KML file which can be downloaded and used in Google Earth. 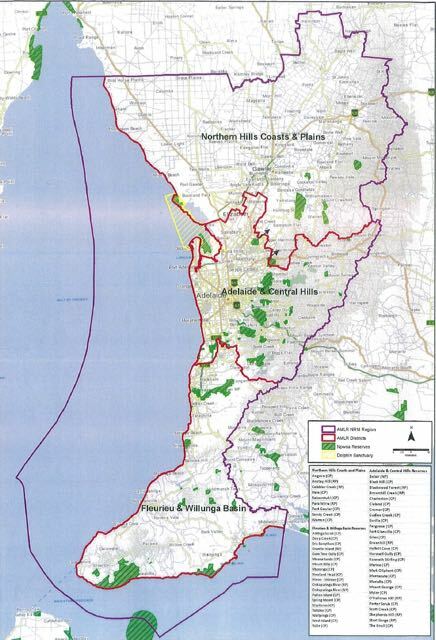 Please feel free to download the PDF file below which is a map from the Department of Environment, Water & Natural Resources, showing all the Protected Areas in South Australia, including National Parks and Conservation Parks.